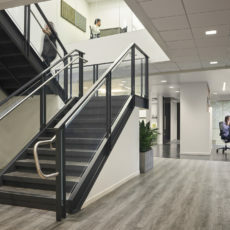 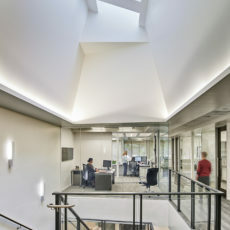 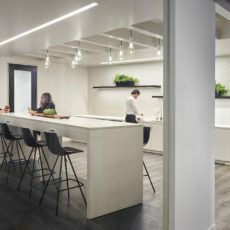 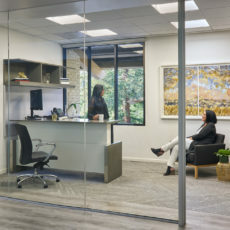 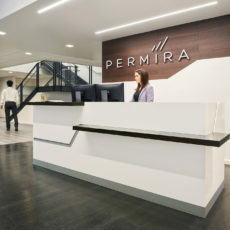 For their new high-profile Silicon Valley office, global VC firm Permira sought out for a sleek, sophisticated look consistent with their global brand. 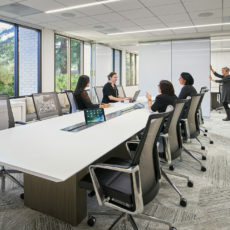 With employee wellness as a priority, Aeron task chairs, custom DFM workstations with height-adjustable desks, and ergonomic tools were selected for all employees. 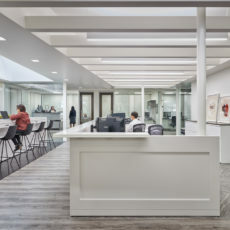 Communal bar tables and coffee bar provide hubs for casual meetings, and feature Davis bar stools and elegant DFM tables with integrated power. 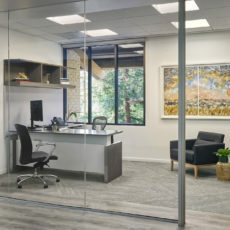 First floor conference rooms of varying sizes feature custom acrylic tables and are fully equipped with AV, controlled lighting and window coverings. 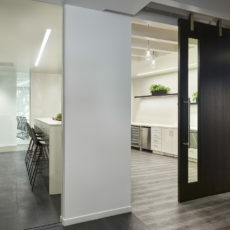 The board room expands with a flexible whiteboard wall partition, and the custom conference tables with casters can be joined together to accommodate a large group.